A raccoon managed to escape from Canadian animal control officers by climbing down from a 10th floor apartment building. 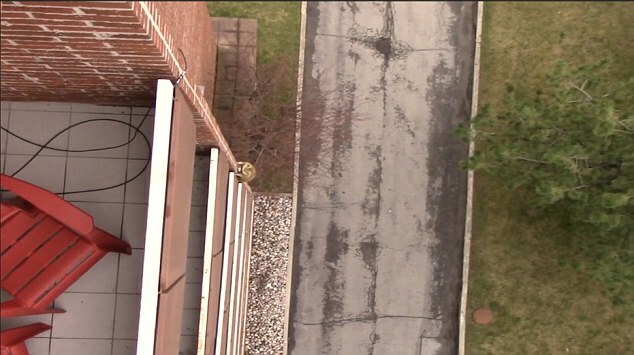 Skedaddle Humane Wildlife Control responded to a call from an Ontario man, who found the daring raccoon on his balcony on April 30. "In 27 years of business, this is a first call of this kind," Skedaddle Humane Wildlife Control President and CEO, Bill Dowd, said. 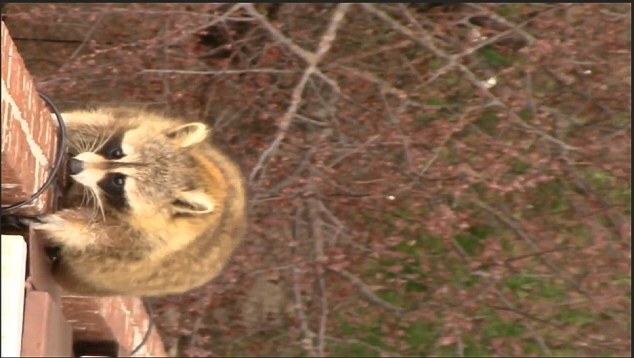 "We have had calls for foxes, skunks, groundhogs, opossums, and all sorts of animals in strange situations but never a raccoon that high up on a balcony." 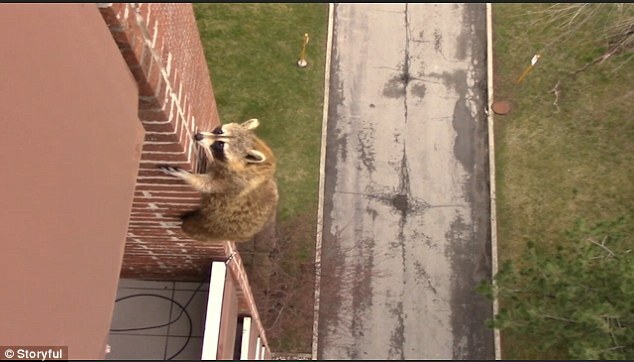 The situation only became more unusual as Dowd arrived on the scene to remove the raccoon and the animal decided to slowly climb down the side of the building to escape capture. Video of the incident shows the raccoon making use of its sharp claws to latch onto the building's brick wall and climbing down five stories before crossing another balcony and making its way to the ground level. Responses to "Raccoon climbs down from 10th floor apartment building to escape animal control"
I love it when people contact a no kill company. This company (along with another company, Gates Wildlife Control) use one way doors, and heated release boxes for the babies. Despite the rabies outbreak in Hamilton, people have responded humanely by vaccinating animals and not feeding them. Injured and sick animals are given a second chance at wildlife rehabilitation centres.